Since I've been working on a few things that I can't show you just yet, I thought it'd be nice to dig into my files and post some work I haven't posted before. This year I had the opportunity to create a short comic for the portuguese publication "Venham +5". I worked on a four page comic based on a very popular urban legend. I'll post the 4 pages here, and you guys can try and guess which urban legend it is before I post the final page. 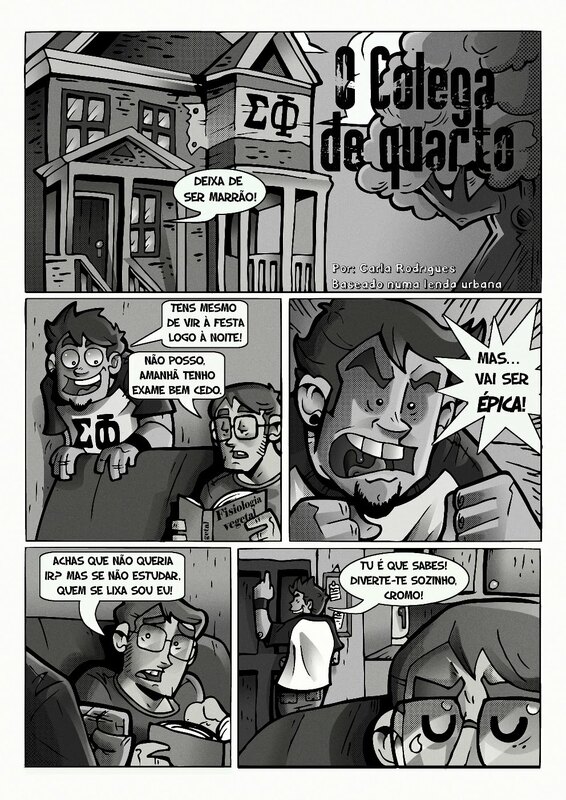 I apologize about posting the pages only in portuguese, but I didn't have time to translate them. Still, I think you may be able to guess with only the help of the drawings. Hope you enjoy, and keep checking the blog for the next pages! Que mito urbano é esse?